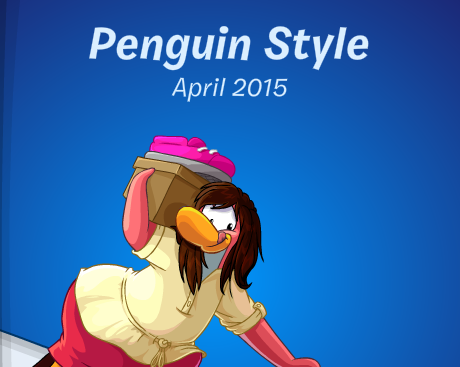 There's a new catalog for April! There are some pretty decent clothes in this months catalog so you won't want to miss out! 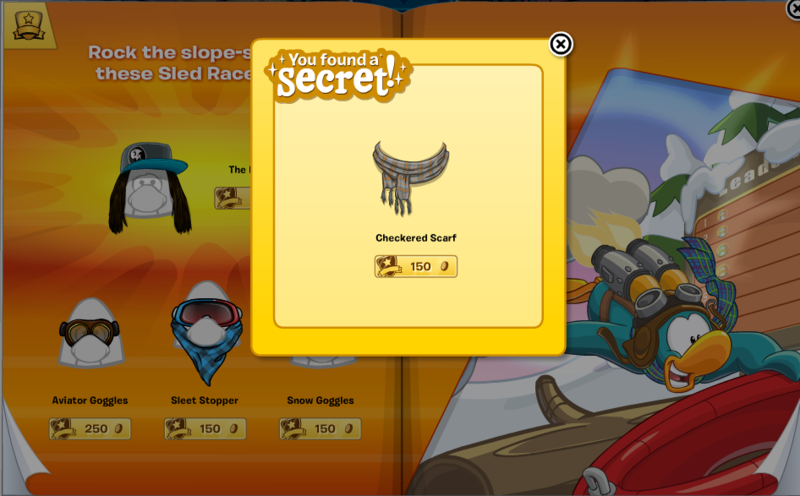 As always, I have found the hidden items for you. 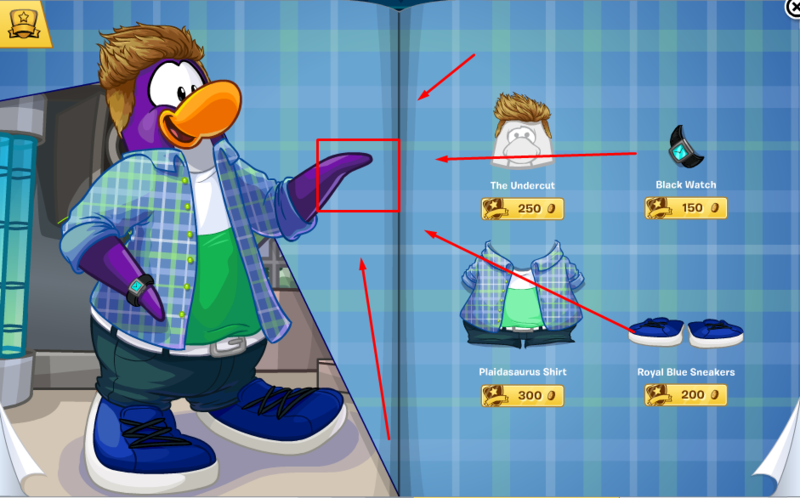 Unlock the Checkerboard Scarf by clicking right above the blue-green penguin. 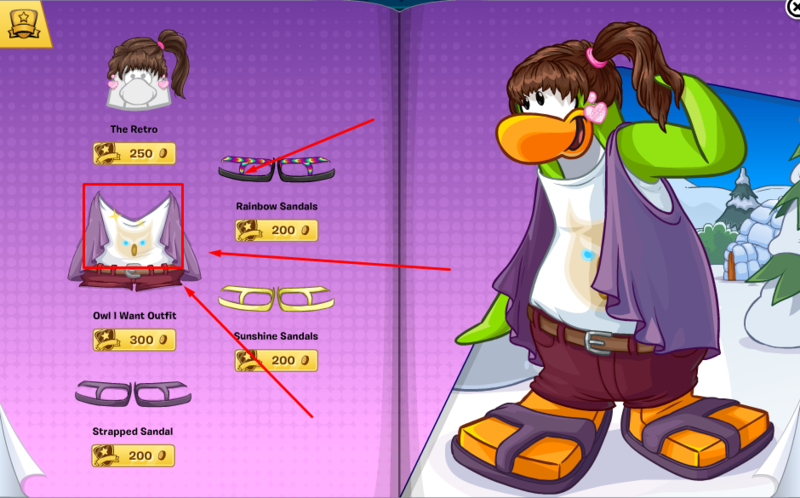 Unlock the Lime Green Sneakers by clicking on the purple penguins left flipper. 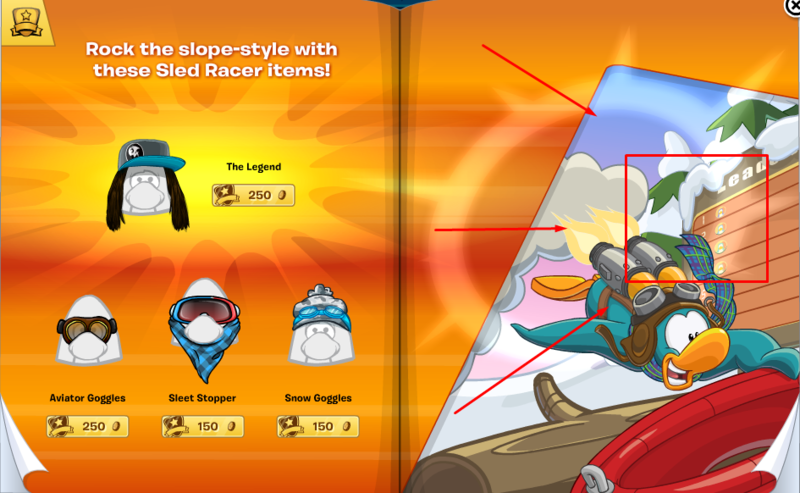 Unlock the Hot Pink Sneakers by clicking on the Owl Outfit!